﻿ Adina Apartment Hotel Bondi Beach Sydney, Australia | FROM $122 - SAVE ON AGODA! "Staff very helpful and obliging ." 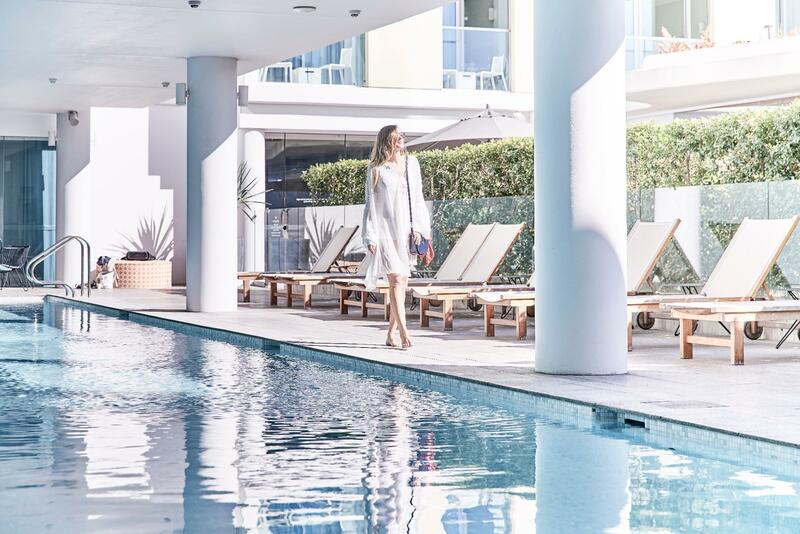 Have a question for Adina Apartment Hotel Bondi Beach Sydney? "Clean comfortable ensuite room with twin beds (on request), fridge, microwave, kettle and complementary tea/coffee, aircon, balcony and all just 5 minutes walk..."
"it was a really good place to stay." 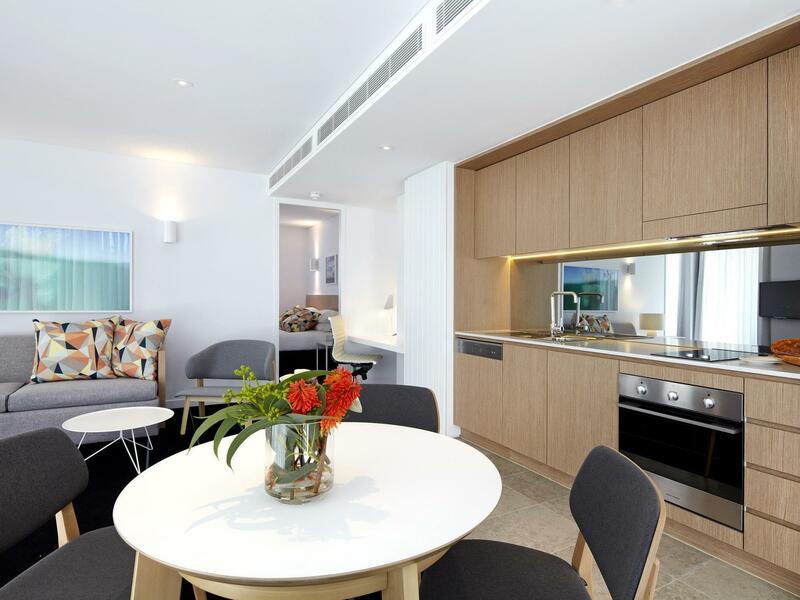 "This apartment was well equipped and very comfortable for a..."
Built in 2013, Adina Apartment Hotel Bondi Beach Sydney is a distinct addition to Sydney and a smart choice for travelers. Set 9 Km from the excitement of the city, this 4-star hotel commands an excellent location and provides access to the city's biggest attractions. With its convenient location, the hotel offers easy access to the city's must-see destinations. 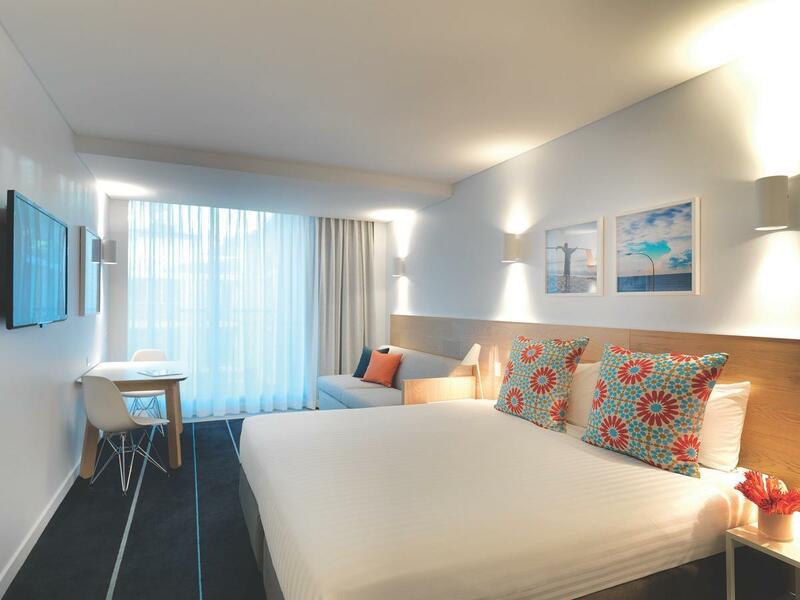 The facilities and services provided by Adina Apartment Hotel Bondi Beach Sydney ensure a pleasant stay for guests. While lodging at this wonderful property, guests can enjoy 24-hour front desk, facilities for disabled guests, luggage storage, Wi-Fi in public areas, car park. Experience high quality room facilities during your stay here. Some rooms include television LCD/plasma screen, non smoking rooms, air conditioning, heating, wake-up service, provided to help guests recharge after a long day. The complete list of recreational facilities is available at the hotel, including fitness center, outdoor pool, spa, garden. 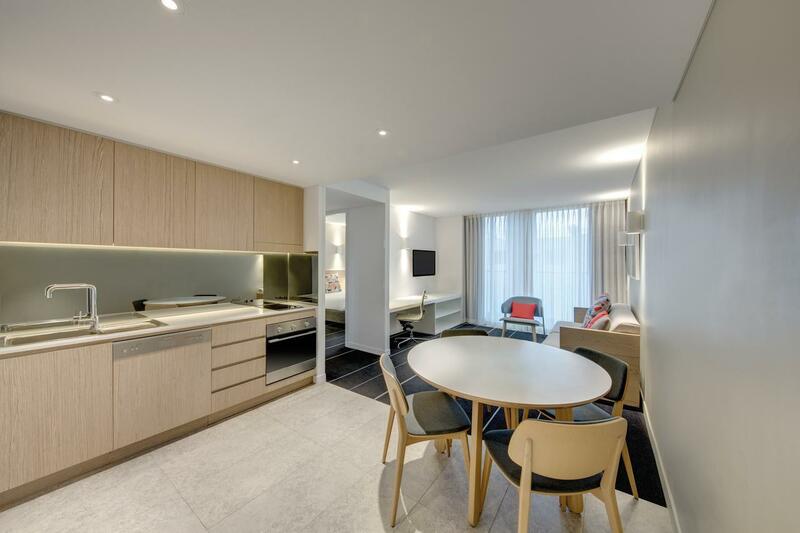 When you are looking for comfortable and convenient accommodations in Sydney, make Adina Apartment Hotel Bondi Beach Sydney your home away from home. The hotel is situated inside the retail plaza and noise from the neighboring restaurants will be present up until 11.30 PM daily. Please be aware of this noise as we are part of the same precinct. The restaurants create a special atmosphere that is unique for anywhere in Sydney but due to the popularity of these lots of external guests are visiting and this creates a buzz and noise that may be interfering with guests if they are requiring very little noise. The spa is currently closed due to maintenance. The pool remains open as normal. The hotel apologizes for this inconvenience. The best option to spend your holiday in BOndi. 200 m from the beach, there is coffeeshop, bakery and gourmet supermarket on the lower passage, rooms are very comfortable, the neighbor restaurant is very good and popular, so there is no more convenient way if you want to get up at Bondi Beach. Very Nice Stay, Fairly quiet Hotel. Spacious clean room, comfy bed, friendly staff. Would stay again and recommend to Friends and Family. Good value for Money. Close to the Beach and a variety of Restaurants. A very nice Restaurant called Bills next door. Great for Breakfast. My only one complaint would be that there is no fan in the bathroom. Would stay again. 1st day, i was stay in 1 bedroom. Everything was perfact. 2nd day, had stay in studio. Hum... room is very good. More than good enough. But too much noise. Ppl open d door n close, d sound like someone try to open my room. Its better to pay extra and stay in 1bed room. Mich better than studio. 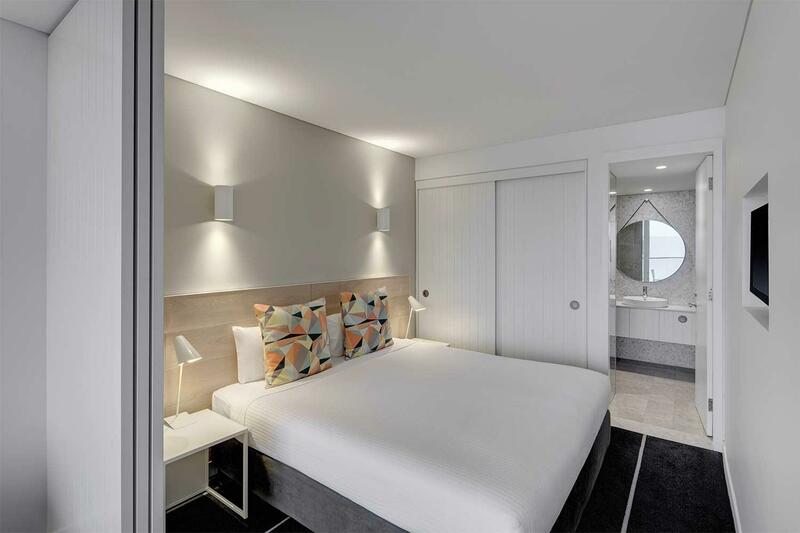 Clean comfortable ensuite room with twin beds (on request), fridge, microwave, kettle and complementary tea/coffee, aircon, balcony and all just 5 minutes walk to Bondi beach. Good area for local shoos and restaurants, ideal accomodation. Awesome location in the heart of Bondi Beach, surrounded by restaurants and cafes and Messina Gelato next door too! Stayed in 1 bed apartment, good room it had everything we needed for a 4 night stay. Only thing that could be improved was service and friendliness of reception staff. Oh and the parking cost at $33 per day was pretty expensive. Location is the best feature, in the heart of Bondi, meters from the beach, and at the ground floor one the best ice-cream shop of Asia Pacific (Gelateria Messina). Staff at reception was very helpful, like a concierge service advised us on Bondi happenings, restaurants, shopping, beach experience: great. Room are cozy, modern with style, clean and equipped as serviced apartments. Pool and Spa balanced beach and bar daylife. Spa warm water after ocean cold sea waves was amazing. Expat traveller coming home for work. Perfect place to stay as right near the beach but facilities needed by business traveller. Nice twist in supplying pools to take to the beach. Breakfast not at the hotel but options very close (though bondi expensive). Supermarket across the road is very useful. We enjoyed the atmosphere at Bondi beach and along the street by the hotel, fun to walk to the next bay and back as well as watch the surf and beach activities. Lots of places to eat as well as grocery and wine store right beside the hotel. Perfect location for both leisure and business. Enjoyable atmosphere with very comfy rooms. Rooms have a kitchen and table if you need to use them. Will always go back there. Nice location to bondi beach! The room is absolutely comfortable too. The staffs aren’t as accommodating though. We checked in late at night, and there is none to assist with luggages. Only negative was the fold out sofa bed which was old and very uncomfortable. We asked for a new mattress as we were staying a week. They said they didn't have any. Otherwise it was a really good place to stay. Very comfortable for a short stay. Right in the centre of tourist Bondi. The staff at the desk were welcoming and friendly. Rooms were small but well set up and very very clean. Will definitely stay again.